Searching for a compressor to add to your rig can be pretty tricky, what with the endless options, from cheap and cheerful stompboxes to pro-level units. To make things a little easier for you, we’ve come up with a quick – albeit varied – list of four contenders. 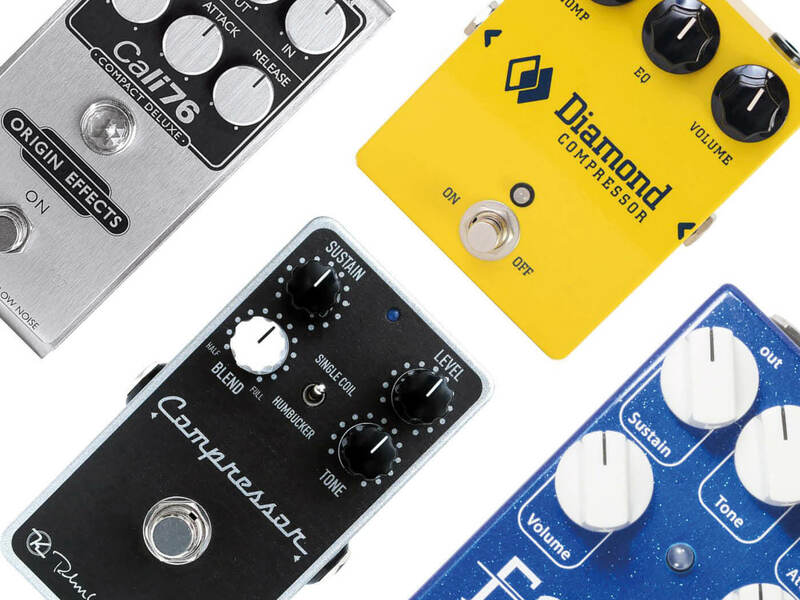 Any one of this quartet would be a sound choice for your latest stompbox squeeze. Widely regarded as one of the best new compressors in the business, Wampler’s Ego Compressor brings new levels of control to the Ross/Dyna Comp style of compression with the inclusion of an ingenious blend knob. 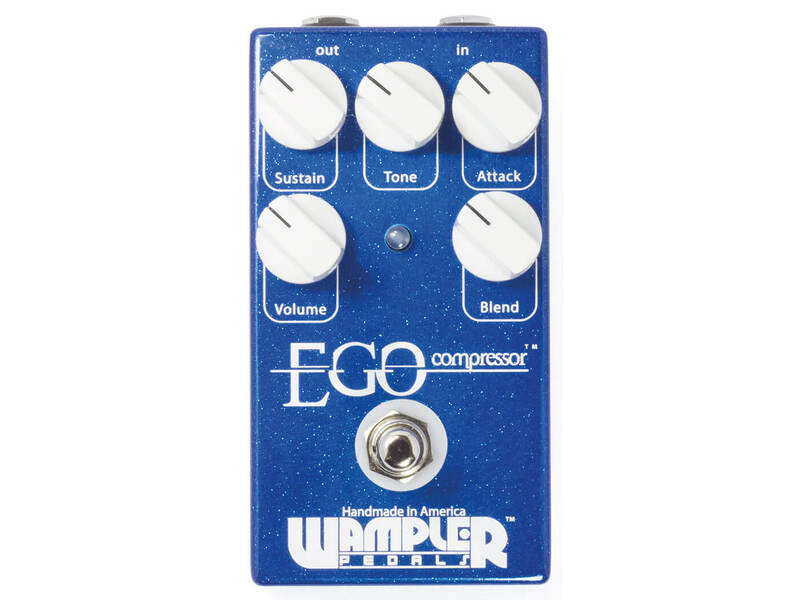 With the ability to cover all types of compression, from country squish to tube sag and studio-grade parallel compression, the Ego ensures your playing dynamics are retained without colouring your tone. With comprehensive controls and a tonal purity thanks to its OTA compression circuit, you’ll be hard pressed to find another pedal that works just as well as an ‘always on’ effect as it does a traditional squeeze box. Origin Effects has handily created an impressively convincing tribute to the classic UREI 1176 studio compressor in the form of the Cali76. With miniaturised components and stacked circuit boards, the Cali manages to deliver Class-A circuitry and low-noise transistors, for true FET compression. It can run at nine or 18 volts, with the latter recommended for greater headroom, and features an added ‘Dry’ knob for even more tweakability. It’s an outstanding compressor that seems to work with you rather than against you and almost every time you switch it off, it’s to the detriment of your tone. Arguably responsible for igniting the boutique-pedal revolution, Robert Keeley’s two-knob compressor is a pro-level stompbox that some argue is better than the original Ross compressor it’s based upon. 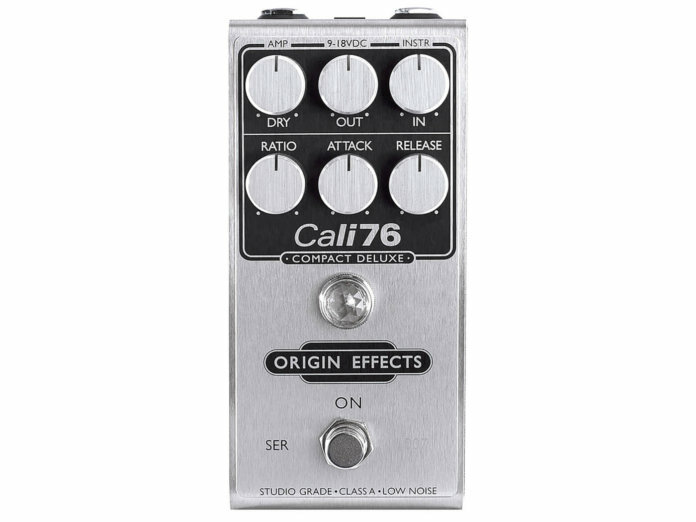 Also available in a four-knob format, which includes the same metal-film capacitors as its younger brother, the addition of Attack and Input Gain controls gives you even more control over the now infamous Keeley squish. Keeley’s line of compressors has now developed into a robust range, featuring Pro and Plus versions, the latter including a switch to tailor your comp to single-coil or humbucker guitars. With over 52,000 compressors now made by the Oklahoma brand, it definitely knows a thing or two about squish. 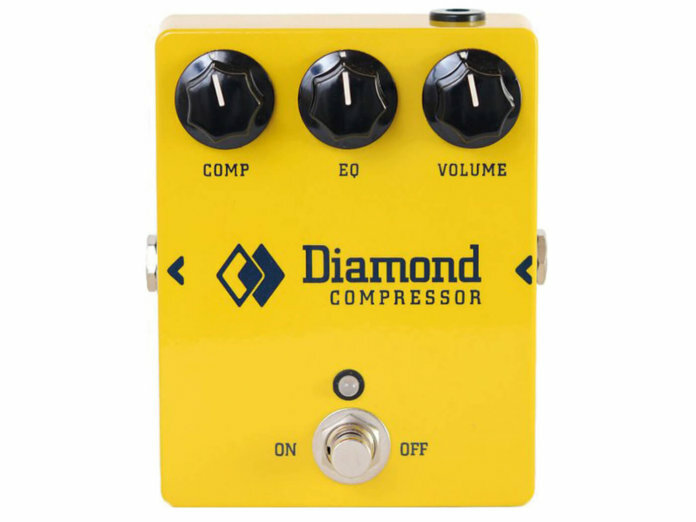 Released back in 2004, Diamond’s goal when creating a guitar compressor was to emulate a studio vocal channel for the six-string: a ‘guitar channel’ with dynamics and simple tone-shaping tools to front your signal chain. The EQ knob is extremely versatile, musically shifting frequency balance, allowing you to tailor your sound to your guitar more accurately. The optical compression is smooth and organic, so much so that they’ve even made a Jr version, a version for audiophiles called the SE, and an affordable version of the SE called the SL. Also, it’s yellow. Gloriously yellow. 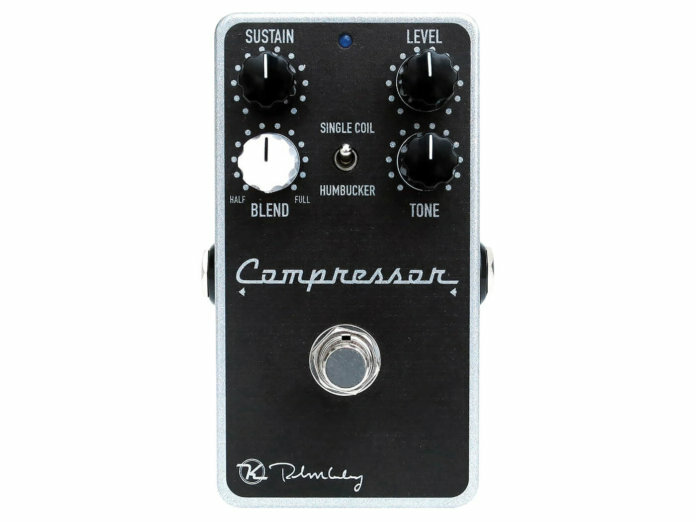 To find out more about compression and how it works in a guitar setup, check out our guide on the effect here.